The Princess Switch (film, 2018). A 2018 American Christmas romantic comedy film by Netflix. Directed by Michael Rohl. Official Trailer. 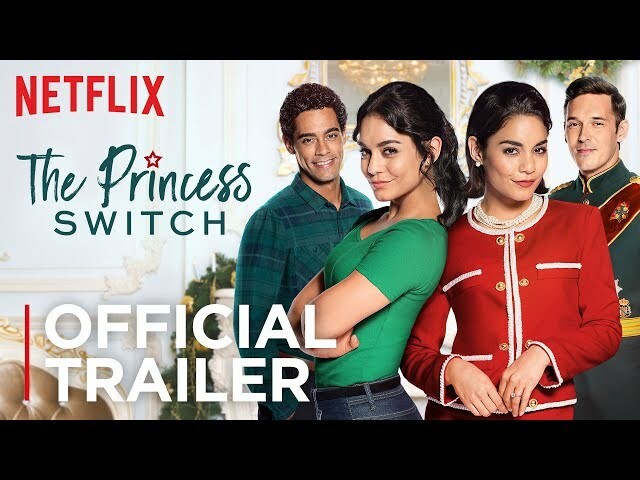 The Princess Switch is a 2018 American Christmas romantic comedy film directed by Michael Rohl. The Princess Switch | Official Trailer | Netflix. Stacy DeNovo is a talented young baker who runs a successful pastry shop in Chicago with her best friend Kevin Richards. Kevin has a daughter named Olivia, a precocious young girl who enjoys ballet dancing. Stacy has recently broken up with her boyfriend Paul. A week before Christmas, Stacy discovers that Kevin has entered their business in a prestigious baking competition in the Kingdom of Belgravia. Their submission was accepted, but Stacy is reluctant to attend since Christmas is an uncomfortable reminder of her relationship with Paul. Later, Stacy runs into Paul with his new girlfriend. A kindly man on the street reminds her that Christmas wishes can come true. Stacy agrees to compete and leaves for Belgravia, along with Kevin and Olivia. Once arrived in Belgravia, the trio goes sightseeing and encounters a Christmas stocking seller who looks very similar to the kindly man Stacy met back in Chicago. The seller advises her to live life more spontaneously. After settling in at their cottage, Stacy and Kevin go to the television studio where the competition will be held. There, Stacy encounters her former culinary classmate and rival Brianna, the competition's defending champion. Brianna "accidentally" spills coffee on Stacy's apron, and Stacy leaves to get a new one. Then, Stacy meets Lady Margaret Delacourt, Duchess of Montenaro and fiancée of Crown Prince Edward of Belgravia, and the two are struck by their identical looks. Desperate for time out of the spotlight, Margaret suggests that the two switch places for two days, then switch back in time for Stacy's competition and Margaret and Edward's wedding. Initially reluctant, Stacy agrees, especially when Lady Margaret offers to sponsor Olivia as a student in Belgravia's acclaimed summer ballet programme. 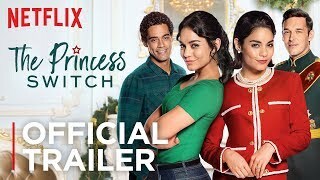 The film The Princess Switch was scheduled to be released by Netflix on November 16, 2018. The Princess Switch got high rating from critics. But the audience dislikes the film.